Honest Artisan Chocolate / Gee Whiskers! While waiting to pay for some items at the Organic Living store in Constantia Village I saw these beautifully packaged chocolates by Honest Raw Organic Chocolate. I am not a serious lover of chocolate (yes, I know it's shocking and unusual) but I adore the beautiful designs they use to package up their chocolate. 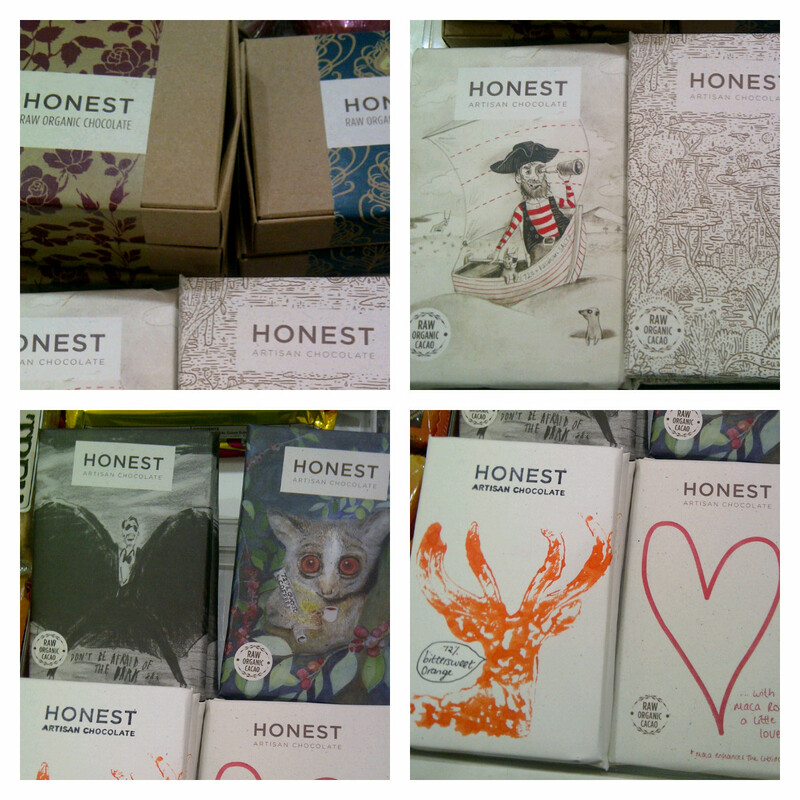 To find a stockist near you visit the Honest Chocolate Website. The Honest Chocolate website is very beautifully done and it even makes me crave a bit of chocolate - that says a lot because I seldom crave chocolate! What looks even more incredible is their chocolate shop in Wale Street, Cape Town - I will definitely try to visit the store soon. You can follow Honest on Twitter and Facebook.